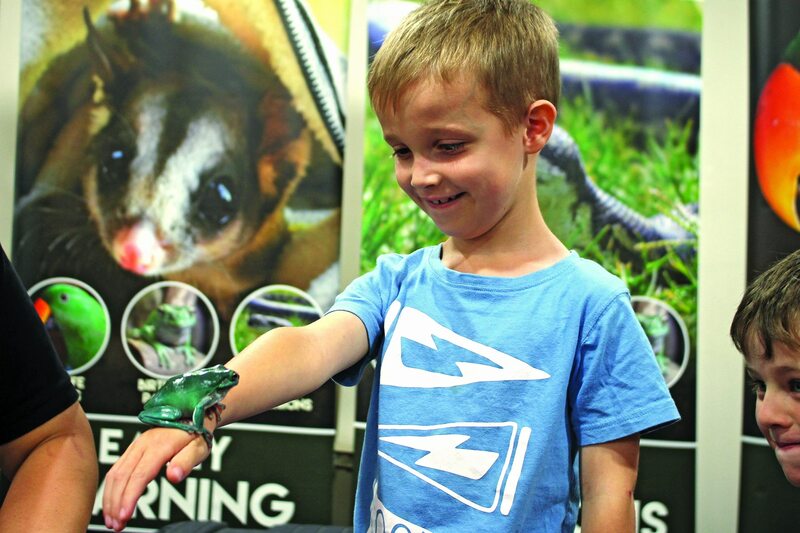 Children received a free one-on-one mobile zoo experience at the Romsey Library on Thursday thanks to Goldfields Libraries. Wildlife Gone Walkabout co-owner Adrian Black put on a wild show with his interactive educational incursion with native amphibians, Murray River turtle, Shingleback lizard, a small and big python, Saltwater crocodile, parrot and a Rufous Bettong (Rat-kangaroo). “We talk about Australian animals for reasons of conservation and sustainability,” he said. Mr Black enjoys a ‘hands-on, minds-on’ approach to learning that involves using all of the senses. “To get the kids involved you need to make it educational and fun so they absorb the information – it’s great teaching them about species they might not know,” he said. Mr Black and his co-owner Jack Sheppard started the mobile zoo in 2016 with little business experience. “I came from a performing arts background and Jack from a land management conservation background,” he said. Both Mr Black and Mr Sheppard are looking forward to joining Steve Backshall in his ‘Deadly 60 Down Under’ tour this month and continuing to teach children about protecting our own. “There’s so many things that people don’t know – we live amongst these guys,” he said.